A recent club tradition has been the WCC's annual excursion to Lodi, where Napoleon Bonaparte crossed the river to defeat the Austrians, to play two days of cricket against our friends Idle Cricket Club. Unfortunately, as the Austrians lost that battle, so Idle Cricket Club lost the RCG - "Radish Cricket Ground", reclaimed by agriculturalists. But Idle have agreed to ground share with Jaguars Parma Cricket Club as of this year. 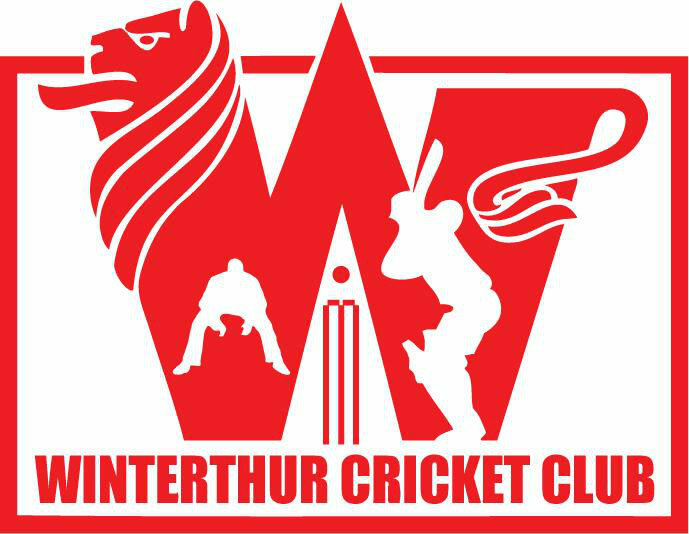 So, on Saturday 5th & Sunday 6th May 2018, the Winterthur Cricket Club once again plan to travel to Italy, albeit a 120km further south of Lodi, to Parma (more famous for its ham & cheese than for its cricket admittedly - at least until this weekend), where we will play two cricket matches against our Italian friends at Jaguar Parma Cricket Ground (Str. Madonna dell'Aiuto, 3, 43126 San Pancrazio PR, Italy). This weekend provides an excellent opportunity, especially for those new to the club, to get to know other team members, besides having some fun on the cricket field. 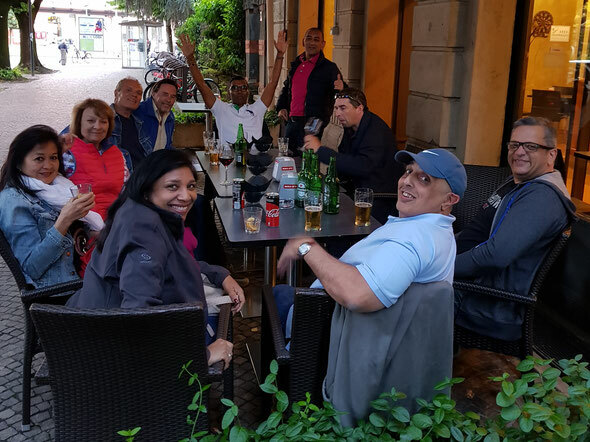 The tour is also a social event so feel free to come along and enjoy the local town, some great cricket in Italian sunshine and go shopping in Milan on the way! Parma is reachable by car and train. For those taking a car or wanting a lift to Parma please contact Vinny Patel who will be coordinating this tour. In the past, most people have travelled on the Friday afternoon to enjoy an evening locally, but travelling early on the Saturday is also feasible. The return journey will be Sunday after the game, meaning about 5pm. 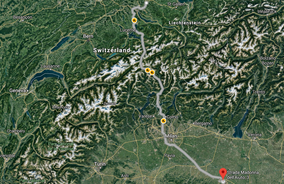 The travel time by car is about 5 hours (Winterthur - Parma). Accommodation is the responsibility of each individual, but Idle CC are going to assist us in finding suitable lodgings. Contact Vinny Patel for more information on preferred & recommended accommodation. 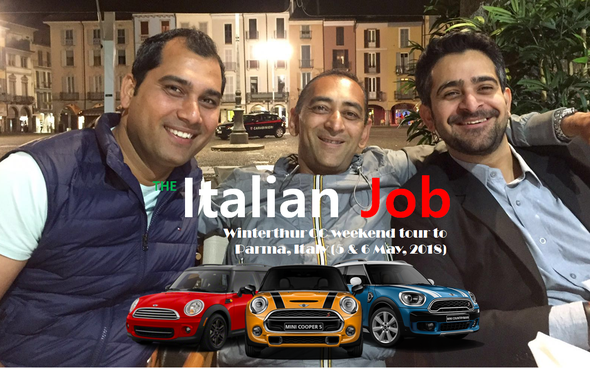 Complete the Italian Job Doodle if you would like to be considered for this tour as a player. 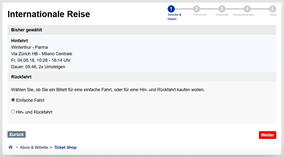 If you only want to be a fan or spectator, please state "Winti Army"! The team etc. will be announced here. Rehydrating is an important part of sport, one thing the WCC do well! If this information is insufficient please contact Vinny Patel. 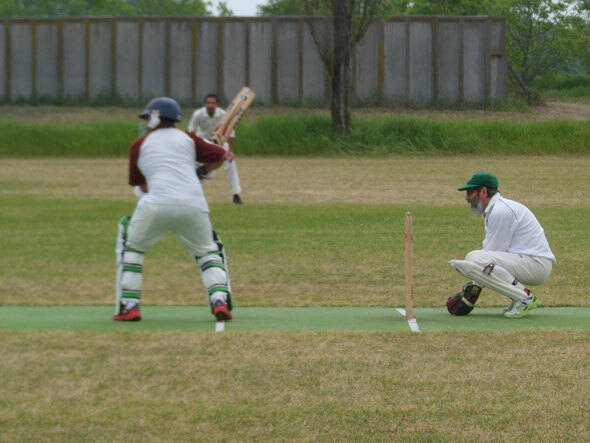 This weekend has been very successful and popular over the years, and we look forward to another successful weekend on and off the cricket field in Parma!